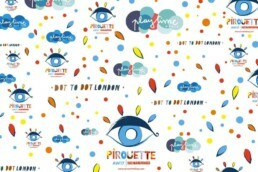 Pirouette hearts New York! 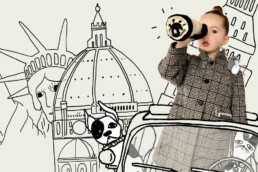 This summers edition was a fantastic and visually creative hub of kid’s fashion and design. 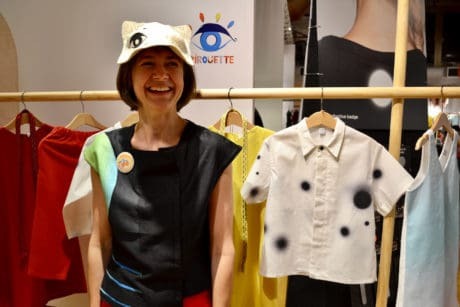 We were amazed to see a strong presence of Lithuanion and Latvian labels exhibiting at the New York show each with an original and distinct brand identity . 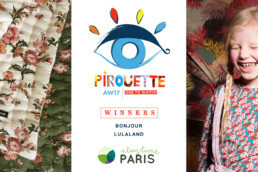 Throughout the Sunday it was great to see our Pirouette One to Watch winners in Fashion and Design receiving a lot of well deserved attention from the visitors. 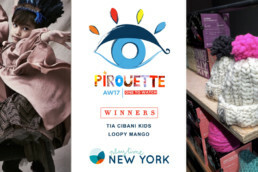 So here we go, a brief introduction to the winners of our Pirouette One to Watch at Playtime New York for Fashion, & Design. 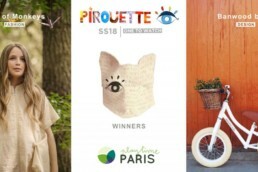 The circle dresses in this collection are just wonderful, made from Linen and printed into a unique colour palette translated from the word ‘sun’ by the anchovy app . 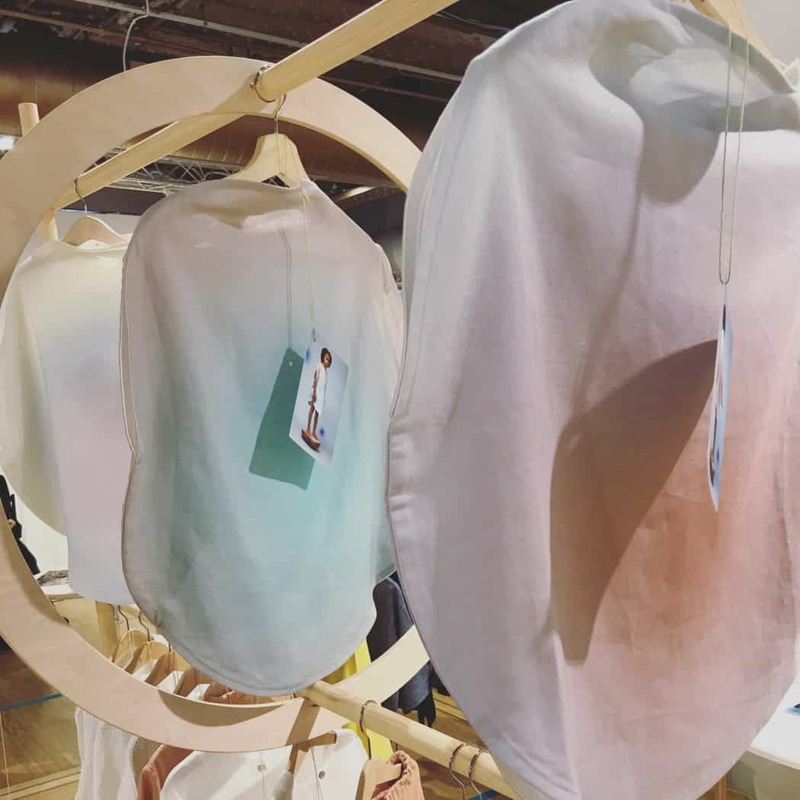 The collection is entitled ‘Hiding from the sun’ something designer and founder Giedre might have had to do since moving to California from her native Lithuania. Moving away from the soft pinks and blues there is a super cool shirt with what I guess to be kind of spots on it. 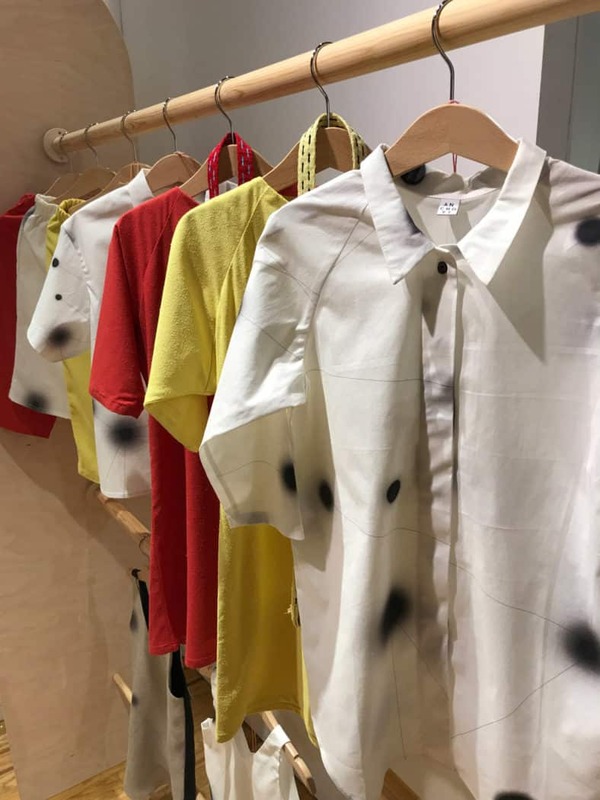 The spots turn out to be a plotted star system printed on to the shirt. It’s also worth mentioning the design of the Anchovy stand which framed the collection in a stunningly architectural manner. 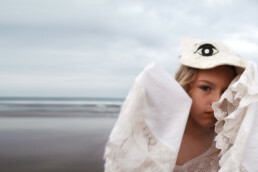 Creative and beautiful materials, well done Anchovy ! 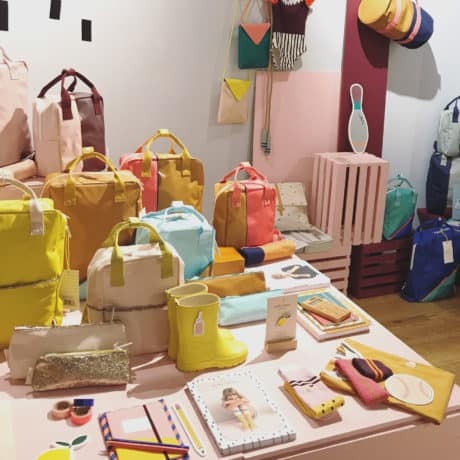 This collection really stuck out at the show, it’s so well presented with beautiful colours, and an abundance of character. It was more like a sugar coated Lemon with the attention they were receiving at their wonderful stand. There is a real quality to their bags and socks. 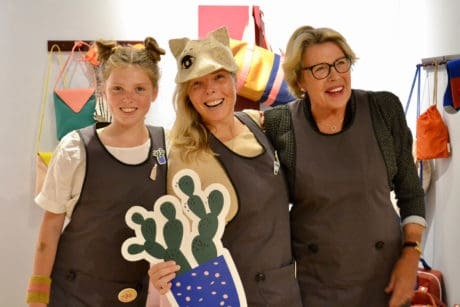 It was a real joy that three generations of the family were out supporting and championing the brand at the show. Sebastien, Marie and myself had they joy of watching their excitement at receiving the pat on the back for their hard work. I loved it, nearly cried! 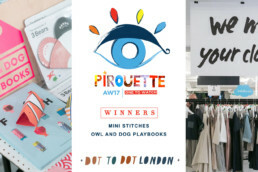 Well that’s it we have our six Pirouette One to Watch brands ss18, keep a look out for interviews with the designers and labels owners over the next few months. 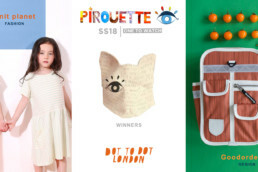 Always great to find out more about these exciting brands for children’s fashion and design. Who designed the award for ss18? find out here.